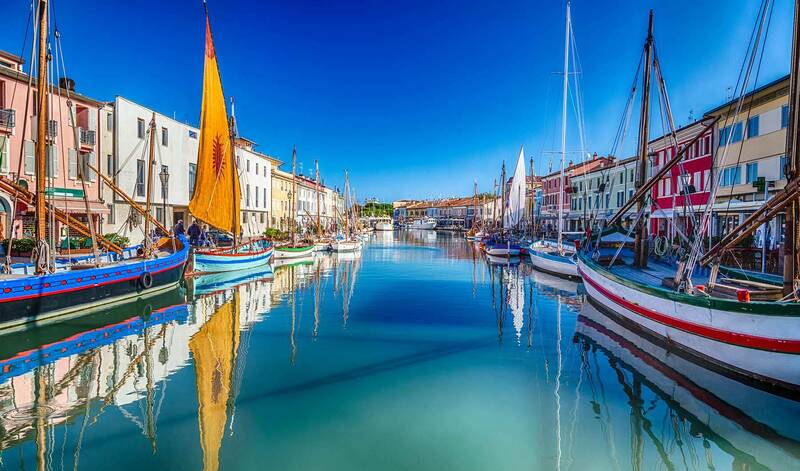 Famous as the birthplace of Marco Pantani, Cesenatico offers family friendly beaches and is the ideal destination for those looking for relax and amusement. A magic world for the children with entertainment all day long. In the nearby you will find the famous Amusement park Mirabilandia for a funny unforgettable day for the whole family. Nature lovers will no doubt like the House of butterflies in Milano Marittima, where countless insects live in their uncontaminated habitat. 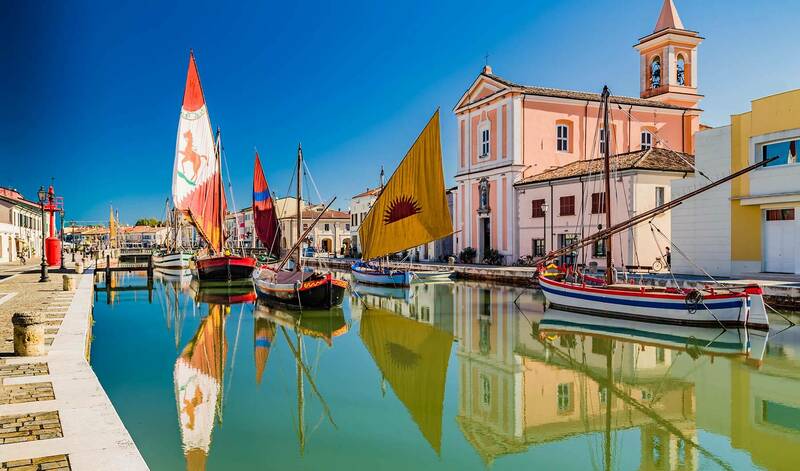 Cesenatico is well-know for its cultural places such as the Sailor’s Museum, the Canal Harbour designed by Leonardo da Vinci, the House Museum “Marino Moretti” and the Malatesta’s tower. Sportmen can have gripping rides in the surrounding hills. 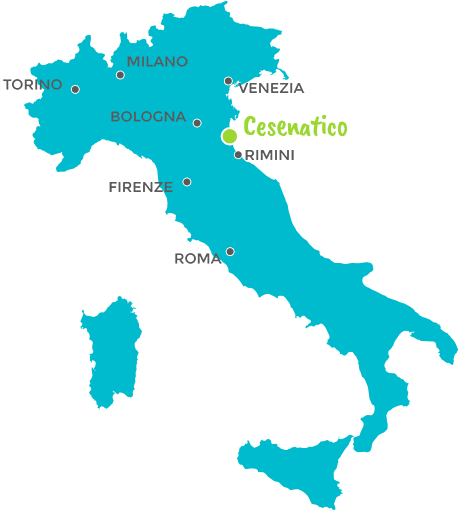 Cesenatico hosts every year the Nove Colli bike marathon, to which thousands of professional and amateur cyclists take part. Food lovers will not be disappointed by the fish and meat specialties that made Romagna’s cuisine famouse worldwide. 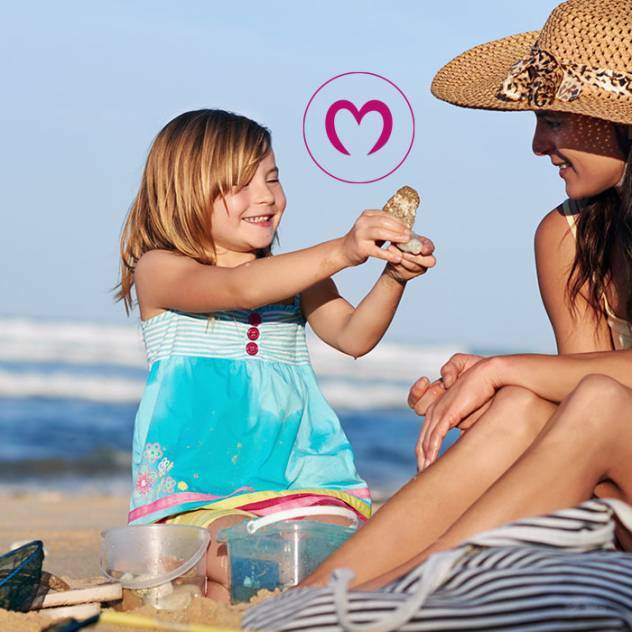 Book now your holiday in Cesenatico and discover the sea, the family friendly beaches, animation and all the advantages of our family holiday!